Every week, about 150 people receive food assistance at The Lighthouse. 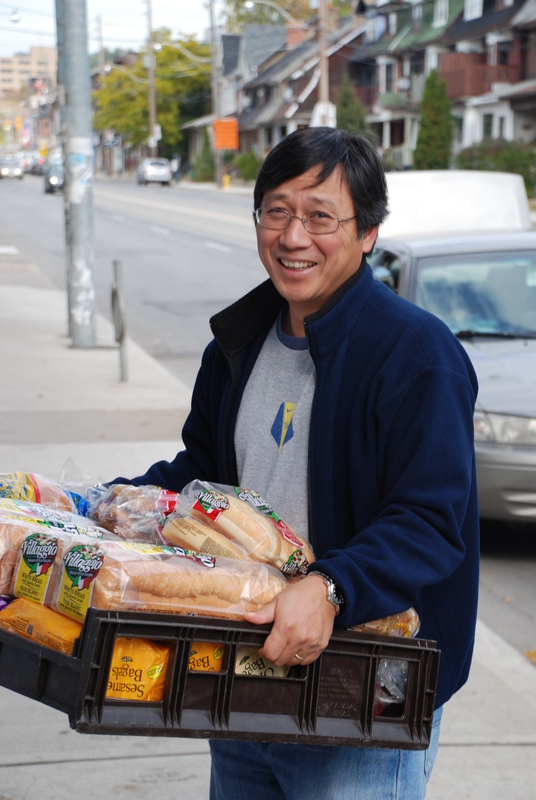 Food Bank clients consist of people from various walks of life, including people who have recently been laid off and never imagined they might need the assistance of food banks. The need for food is felt year-round – not only during Thanksgiving and Christmas, although these continue to be times of especial need. Because need is ongoing, your support today is so important. Please consider hosting a food drive at your work, church or school – every little bit helps. Most needed food items include: canned soups, canned fruits and vegetables, pasta and tomato sauce, peanut butter, canned fish/meat, and oatmeal and cereal. Personal and feminine hygiene items also needed year-round. Please call Tiffany to arrange drop-off of food items at 416.535.6262.